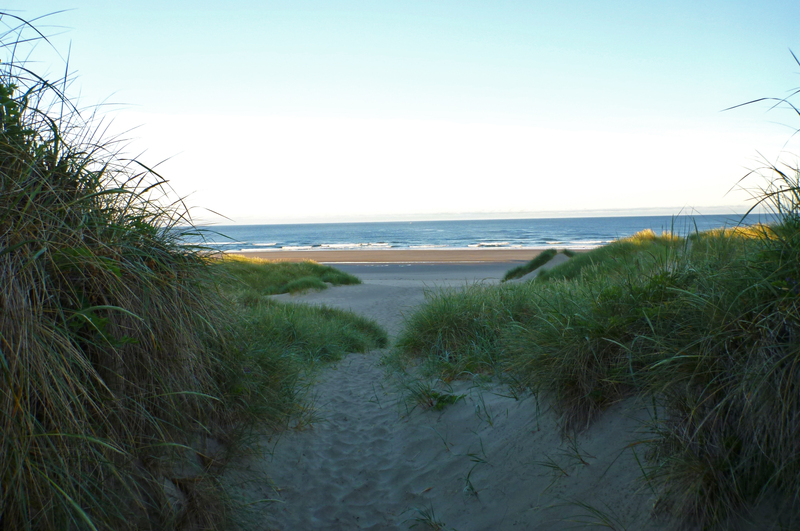 I have walked this trail many times; it’s full of promise. This is just after 6 am, June 22. 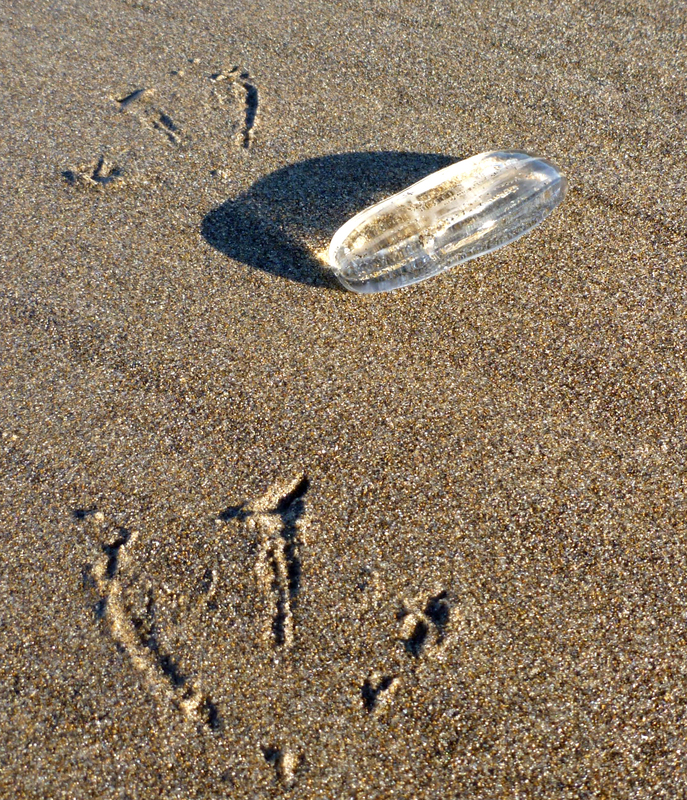 Just above the low tide mark, the beach was strewn with sea gooseberies or cat’s eyes. 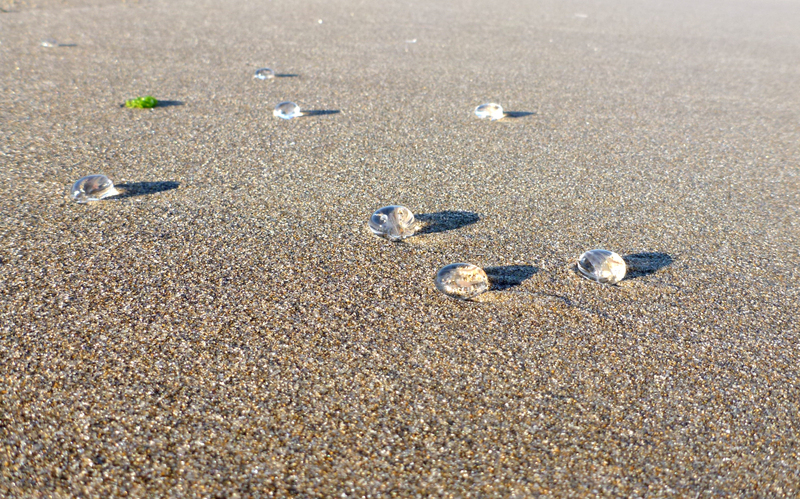 These are Pleurobrachia bachei, the commonest comb jelly you’ll see cast up on theoutershores beaches. They are about the size of marbles. If you want to learn more about Pleurobrachia click here. Here’s a bigger comb jelly. This one is Beroe or maybe Bolinopsis. I don’t see any evidence of oral lobes or a slightly compressed, helmet-shaped body (Bolinopsis features) but the tissues are delicate and this is the first time I’ve taken a close look at comb jellies – I’m leaning toward Beroe – a nice cucumber shaped body. Maybe it’s something else. What do you think? If anyone out there can help me with the identification I would appreciate it. Whatever it is, I see these occasionally around the low tide mark. If it’s Beroe, it’s a Pleurobrachia predator, capturing and swallowing the little gooseberries whole! Hi! I would like to use your beautiful picture of beached comb jellies as a short clip in an educational video on my YouTube channel. Is that OK with you? I will give due credit and link to your site! Certainly. I would appreciate a credit and link. Best of luck to you with your project!